Most expected Apple gadget iPhone 5 arrives in India on November 2. Indian largest mobile network Airtel now starts pre-order for iPhone 5. 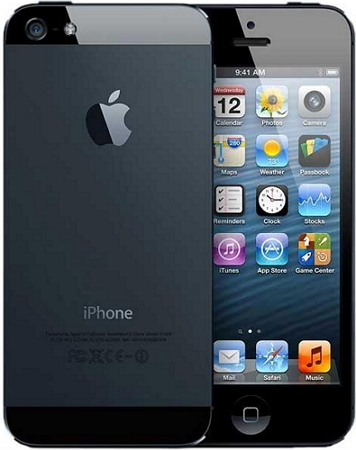 The Apple iPhone 5 is comes with 4 inch retina display which running on iOS 6 operating system. The iPhone 5 designed with A6 chip for blazzing fast performance backed with 1.2 GHz dual core processor. It has 8MP iShight camera and 1.2MP front facing camera. It includes some other amazing features like new Map app. Now Airtel offers pre-order here only for basic model (16 GB) for rupees 45,500/- . If you pre-booked device through Airtel, it takes 7-8 days to deliver your device. And also you can pre-book from saholic.com for this same price tag.